Reason for Exodus of Kashmiri Pandits: Pakistan, Jagmohan or Islamist's? Home Cornerstone Articles Reason for Exodus of Kashmiri Pandits: Pakistan, Jagmohan or Islamist’s? The Exodus of Kashmir Pandits was an unfortunate incident in the Indian History. Will Kashmiri Pandits ever be resettled back in Kashmir and end their exodus? 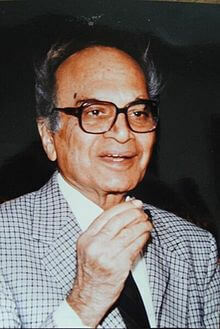 Who was behind the Exodus of Kashmiri Pandits – Pakistan Sponsored Terrorists, Kashmiri Islamists or Governor Jagmohan? The Exodus of Kashmiri Pandits was an unfortunate incident which took place in beginning of1990 when most of the Kashmiri Pandit families were asked to leave from the Kashmir valley due to the sudden outburst of terrorism. Lakhs of Kashmiri Pandits families fled their homes during that ill-fated event. According to the Indian government, more than thousands of families are listed as Kashmiri refugees including some Sikh and Muslim families. These families were resettled in Jammu, Delhi-NCR, and other neighbouring states. Only a few hundred families of Kashmiri Pandits continued to live in the Kashmir valley. Ghulam Mohammad Shah came into power after snatching the position from his brother-in-law Farooq Abdullah and became the chief minister of Jammu and Kashmir. He decided to build a mosque, named the same to be Shah Masjid and started constructing it within the premises of an ancient Hindu temple in Jammu. Many people started to protest and carried large rallies and marches against this decision which happened during the year 1984. When Gulam Mohammed Shah returned to Kashmir, he reacted and provoked the Kashmiri Muslims by saying Islam was in danger. As a consequence, Kashmiri Pandits came under the radar of Kashmiri Muslims and were being attacked, as per a noted Kashmiri Pandit historian. Many incidents were reported in various areas where Kashmiri Hindus were killed and their properties and temples damaged or destroyed. The worst-hit areas were primarily South Kashmir and Sopore. Muslim mobs robbed and destroyed the possessions and temples of Hindus. This was followed by Anantnag riot in 1986. No Hindu was killed however many houses and other properties belonging to Hindus were looted, burnt or damaged. As a result, many Pandit families left the Kashmir valley. Gulam Mohammed Shah ’s government was dismissed in the same year in March, by Governor Jagmohan. After two years of Anantnag riots, the Jammu Kashmir Liberation Front started a separatist uprising movement for independence of Kashmir from India. The terror outfit killed a Kashmiri Pandit for the first time in front of several people in September 1989, who was an advocate and a prominent leader of Bharatiya Janata Party, Pandit Tika Lal Taploo. This inculcated the fear in the Kashmiri Pandit community especially as Taploo’s killers were never caught. The Pandits realized they weren’t safe in the valley and could be targeted any time. 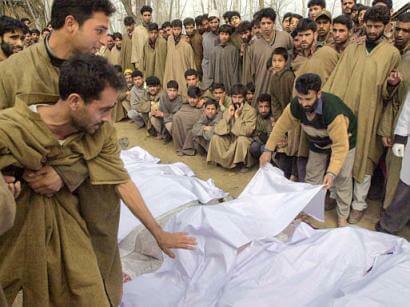 Many other Kashmiri Pandits and prominent personalities were consistently targeted and killed. There was also an article issued in local newspaper Hizb-ul-Mujahideen, asking all Pandits to leave the Valley immediately. This inculcated the feeling of fear among the Pandits. In order to weaken his political rival, Farooq Abdullah who at that time was the Chief Minister of Jammu and Kashmir, the Minister of Home Affairs Mufti Mohammad Sayeed influenced Prime Minister V.P. Singh to appoint Jagmohan as the governor of the state. Abdullah did not have good terms with Jagmohan who had been appointed by the governor earlier in April 1984 as well and had suggested Abdullah’s dismissal to Rajiv Gandhi in July 1984. Mufti was firm that such a move will irritate Abdullah and make him quit. Abdullah had earlier said that he will leave his seat if Jagmohan was made the Governor. However, the Central government went ahead and appointed him as the Governor. In response, Abdullah resigned on the same day. This led to utter commotion and Jagmohan could not reach Srinagar due to bad weather and had to stay at Jammu. Crime and terror took over the valley and the crowd with slogans and guns started to freely roam the streets. The violence further increased after the Exodus of Kashmiri Pandits. The militants destroyed the properties of Kashmiri Pandits after their exodus. Kashmiri Hindus are still fighting for their return to the valley and many of them still live as refugees. They had hoped to return after the situation improved. They have not been able to take such step as the condition in the Valley remains erratic and they fear a danger to their lives.